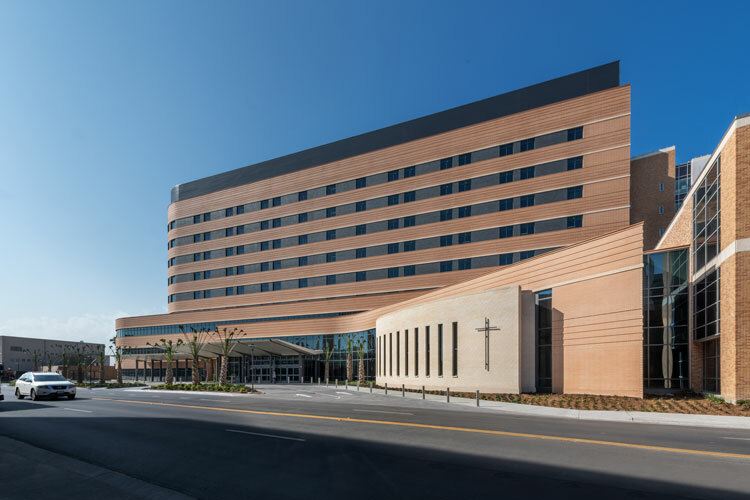 Houston — McCarthy Building Companies, Inc. recently completed the CHRISTUS Spohn Hospital Corpus Christi – Shoreline, New Patient Care Tower. The new tower, which broke ground in July 2016, was completed 41 days ahead of the contracted completion date. Part of the hospital’s master facility plan, the new 400,000-square-foot, 10-story tower significantly adds to the hospital’s capability in providing care for patients. The tower consists of a new expanded state-of-the-art emergency department and Level Two Trauma Center – the only one in a 12-county area – including four ultramodern trauma bays, imagining facilities, 200 new patient rooms, endoscopy suite, full dietary services, graduate residency spaces, with other clinical and procedural departments. In addition to the tower, a new Central Utility Plant and multiple renovation areas totaling over 12,000 square feet were completed with this phase of the master facility plan.